Dentistry involves the prevention, diagnosis and treatment of a wide variety of conditions, disorders and diseases affecting the teeth, gums and the jaw and face region of your body. Ideally, most general dentistry is preventative. The American Dental Association (ADA) recommends that you visit your dentist regularly – at least once every six months – to ensure proper oral hygiene and functionality. Regular checkups prevent the development of serious dental problems that may require costly treatment. Frequent visits to your dentist will allow for exceptional dental health. 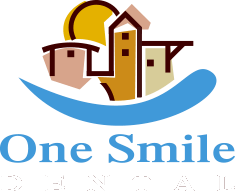 We will work with you to develop a customized dental hygiene plan that includes a dental examination, tooth cleaning, X-ray and use of other diagnostic equipment to prevent, discover or treat problems as early as possible. We may incorporate a variety of restorative procedures in the development of your treatment plan that will help prevent decay or disease of your teeth, mouth, gums and tongue. We also use restorative dentistry procedures to repair the effects of tooth decay, trauma, or disease in these areas of the mouth.